Modern consumer goods are considered unsafe an illegal in the country of Denmark if they have Cadmium levels at 75 ppm and higher. In Washington State the hazard level for total Cadmium content is 40 ppm or higher. There is no United States federal hazard level for total Cadmium content as detectable with an XRF instrument. 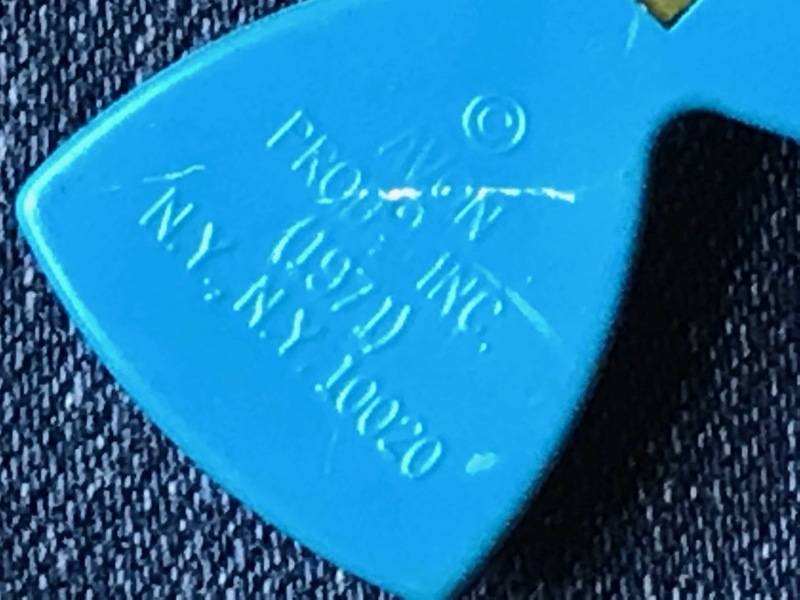 Vintage items (especially vintage plastic items and vintage jewelry – and costume jewelry in general) often contain very high levels of Lead and Cadmium (and sometimes Arsenic and Mercury too) and should never be given to children to play with. I am almost 50 years old, and I clearly remember playing with these plastic perfume pins as a child [I was born in 1969 and this particular pin is from 1973.] Many friends my age are now grandmothers(!) — grandmothers who have held on to things from their childhood to pass along to their children for their grandchildren to play with. Please think twice before doing this; most vintage items are decidedly not safe for children to play with. The painted / decorate surface and metal pin were also tested and were not positive for Arsenic, Mercury or Lead.